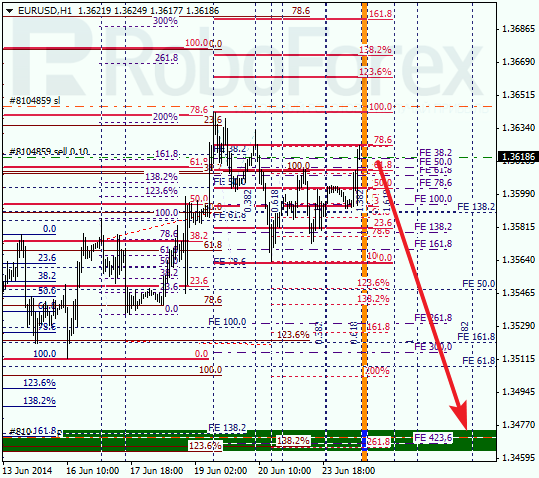 At H1 chart price comes closer to timing Fibo-zone. It’s not excluded that pull back from 78.6% level will be formed inside of this zone. Again I have short trade with stop loss above recent high. 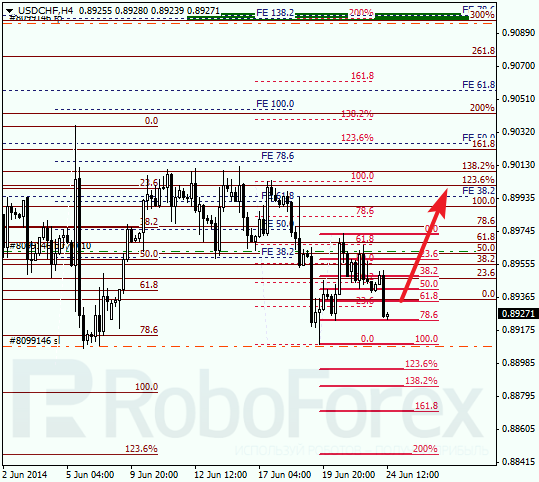 USDCHF is also traded on the local Fibo level 78.6% (0.8924). If today price reverses from this level, buyers can be in control again. 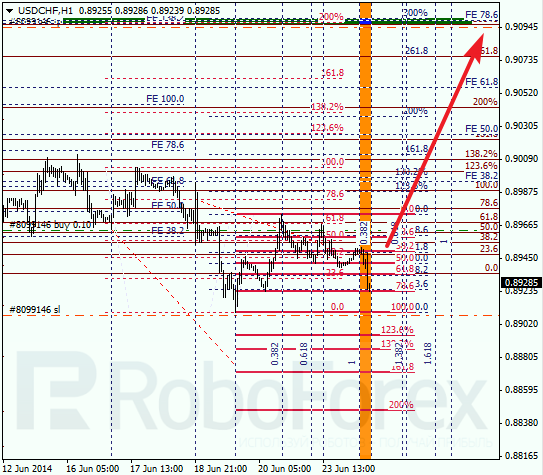 Target is located near Fibo levels congestion (0.9100 – 0.9095). At H1 chart price is traded near timing Fibo zone. If inside of this zone price pulls back from 78.6%, I will add to my longs. Probably, market can set a new high as the day develops.